Your feedback is important to us, so we would appreciate your comments on our services as we are constantly looking to make improvements and develop our service levels to you. Fab, friendly, efficient and even fixed the washing machine! 5* service. Carpets cleaned like new. I am more than pleased with the work on badly stain. 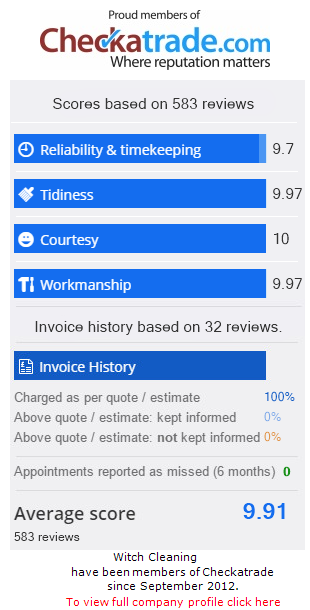 I have no hesitation in recommending Checkatrade, excellent workman. Amazing service, I don't think I have seen my carpet so clean, he was polite and respectful. Very good, cant believe he got the stains out of the carpet. Very professional and good value for money. Friendly, reliable, would definitely recommend them.